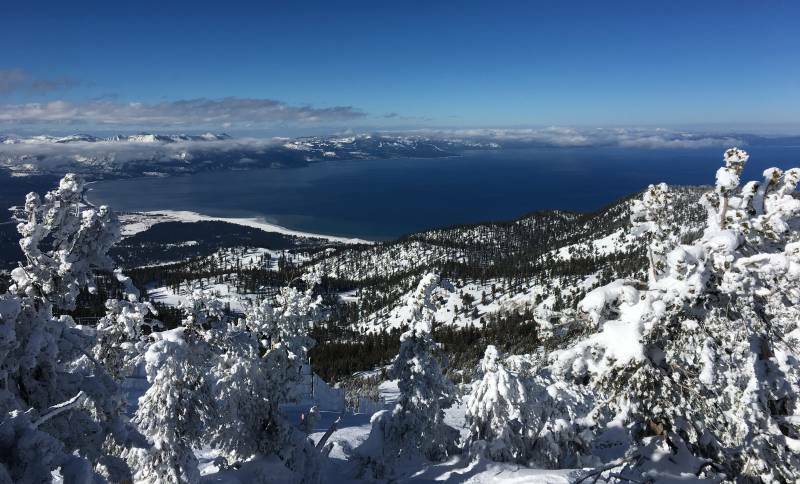 When the numbers come in for the closely watched April 1 survey of snow in the Sierra Nevada, California is likely to fall short of an average year. That's a major disappointment in a winter that featured one of the strongest El Niño events on record—warm ocean conditions that were widely expected to produce torrents of precipitation. It's also a source of concern since the state has historically counted on runoff from accumulated mountain snows for about a third of its water supply. Earlier this week, the northern Sierra snowpack briefly nudged the long-term average for April 1, while measurements from the southern Sierra were lagging badly, at just 75 percent of normal. To be sure, both numbers are a huge improvement over last year at this time, when the Sierra Nevada range was virtually barren. But this year, almost-average isn't going to cut it. "We really needed more than average—a lot more than average," says Peter Gleick, a hydrologist and co-founder of the Oakland-based Pacific Institute. 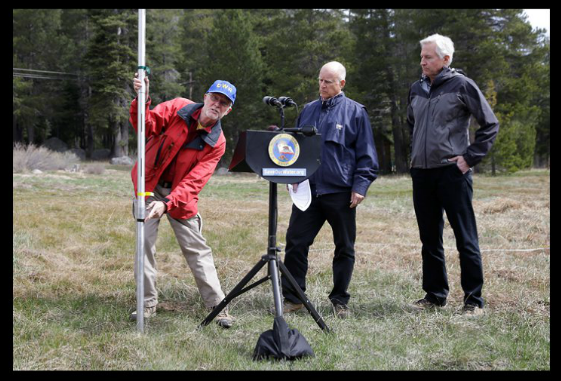 "Average snowpack wouldn't solve the hole we're in from four years of dry soil moistures and low reservoirs and overpumped groundwater," he says. "I think a fifth year of drought is now pretty inevitable." Still, El Niño conjured up enough rain and snow to slightly dampen Californians' worries over water. In a survey just released by the Public Policy Institute of California, while 57 percent of respondents still consider water supply to be a "big problem," water and drought slipped from the top spot among residents' biggest concerns, yielding once again to jobs and the economy. Gleick attended this week's White House Water Summit, a confab designed to assess threats to future water security and seek solutions. Coinciding with that event, federal water managers issued some sobering projections for the continuing impact of California's changing climate on key watersheds. Mean annual runoff is projected to increase as much as 5.4% in the Sacramento and San Joaquin Rivers Delta by the 2050s. Moisture falling as rain instead of snow at lower elevations will increase wintertime runoff by 22% (December through March) and decrease springtime runoff by 27% (April through July). Mean annual runoff is projected to increase by from [sic] 5.7% by the 2050s. Warmer conditions are projected to transition wintertime snow into rain, increasing December–March runoff and decreasing April–July runoff. The median date of peak runoff is expected to be 19 days earlier by the end of the century. Those increases in runoff might sound like a good thing. More water is more water, right? "I wouldn't bank on that," says Gleick, citing both the uncertainty inherent in precipitation models for California and rising temperatures. "We don't just care about how much water we get, we also care about when we get it," he says. More wintertime and less springtime runoff is a sign that winter storms are dropping more rain and less snow, depleting the state's "frozen reservoir" and leaving less water during the summer growing season, when farms and cities most need it. The low snowpack experienced last year is expected to become more common during the decades ahead — even though storminess in the region is projected to increase. Last year's was the smallest snowpack on record, caused primarily by a shortfall in large winter storms, fueling a withering drought exacerbated by high temperatures. Within 50 years, snowpacks as diminutive as last year’s could occur on average more than once every decade, said Michael Dettinger, a U.S. Geological Survey hydrologist. "What we have to do is a combination of smarter storage and better management of reservoirs, and much more efficient water use," says Gleick. "There is no one solution to Cailfornia's water problems."